Let’s face it: you’ve got a lot to accomplish during your journeys near Wilsonville, Woodburn, and Sherwood. That’s why you need a vehicle that’s capable of challenging every obstacle you encounter on the highway, like an iconic Jeep vehicle. How do you know which one is best for your lifestyle? Well, the professionals at Wilsonville Chrysler Dodge Jeep Ram have designed this Jeep models resource page that’s filled with all the information you need to choose your perfect automobile. Thanks to these Jeep reviews, you’ll be well on your way to finding the Jeep that perfectly fits your needs. First, let’s review the information you’ll discover within each of our Jeep reviews. Once you click on one of the pages below, you’ll be presented with key specifications of the Jeep model that interests you most. For example, these articles cover the performance capabilities of our automobiles, which includes information about engine options, transmissions, horsepower, towing capacity, and more. 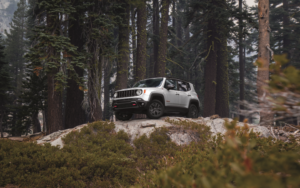 That way, you’ll know that your Jeep Cherokee or Jeep Renegade has the strength to handle your family’s upcoming road trip. 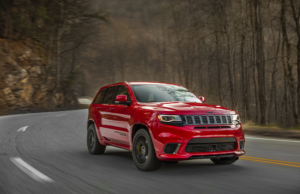 In addition, our Jeep reviews come with details about the technologies, safety amenities, and cabin features included in each SUV in our showroom. So, regardless if you’re interested in purchasing a vehicle that’s equipped with a responsive infotainment system, a suite of intelligent safety tools, or any other type of gadget, you’ll know where to look before you set foot into our dealership. Why is Jeep Model Research Important? Before you visit your local showroom, there’s nothing more helpful than performing some research on the automobile that’ll best align with your unique way of life. By doing so, you’ll ensure that you’re teamed up with the ideal ride to take on those rough terrains during your off-roading adventure or those smooth highway miles during your daily commutes. Luckily, that’s exactly where our Jeep model research pages come into play. Within these articles, you’ll find all the essentials of your preferred model laid out in an easily digestible way. As a result, you’ll be able to browse through the important specifications of your favorite Jeep model while you’re relaxing in the comfort of your own home or on your break at work. In addition, these Jeep reviews give you insight into any recent updates made to the technology systems or interior amenities of our vehicle. With that information, you’ll determine which model offers the infotainment options or safety gadgets you need to drive confidently. Once you’ve finished researching, you’ll ultimately spend less time browsing the showroom for your perfect vehicle and spend more time enjoying the unmistakable performance of your Jeep. Find Your Jeep Model Today! At Wilsonville CDJR, we believe that the first step of a successful car-buying journey is to equip yourself with all the information you need to choose your ideal automobile. So, if you’re ready to get started, all you have to do is click on one of the Jeep reviews on this page. From there, you’ll dive into details that encompass all the important aspects of your Jeep model. If you realize that you’d like to speak to one of our knowledgeable associates, feel free to drop us a line or stop by our showroom today. We’re proud to serve drivers near Wilsonville, Woodburn, and Sherwood with unwavering support during your search for the right car.